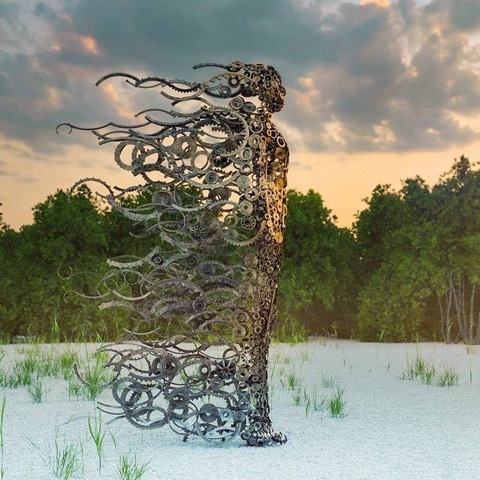 Sculpture inspired by Penny Hardy's original, “You Blew Me Away.” The artist of this piece is unknown. If you know who the artist is, please let us know, so we can give credit, where credit is due! Thanks! This is a new action team whose first step is a CALL TO ACTION to all local artists of every discipline interested in joining the long list of artists throughout history who have felt the need to speak out and use their chosen medium to support their beliefs. For us as women creators the time has never been more filled with opportunity or more urgently needed.